Jimmy Doolittle used a sensitive altimeter during his 1929 blind flight. A sensitive altimeter measured the altitude of an airplane above sea level and allowed that reference to be set by a knob. This is the first model produced by Kollsman. 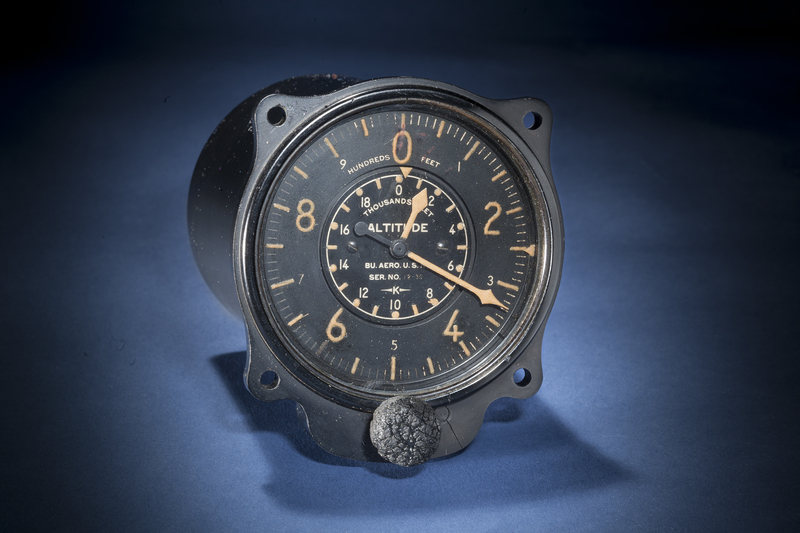 Jimmy Doolittle used the same type of altimeter in his historic 1929 “blind flying” test flight. Photo by Eric Long, Smithsonian National Air and Space Museum (NASM 2014-04797). Find out more about Kollsman Model 21 Sensitive Altimeter.